Some real estate website provide a "walking score", helping you understand how walkable an area is. Inspired by this easy way to compare neighborhoods, we decided to build the "EV Score" to help non-homeowners access the EV market and get the most out of their city. 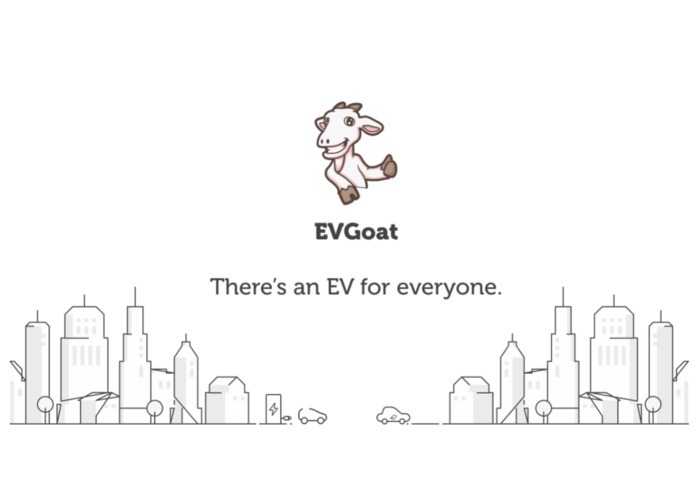 EVGoat analyzes driving patterns to help non-homeowners figure out if they are in an area where they could use an electric vehicle instead of an internal combustion engine vehicle. We used a combination of User Interface Design, Data Analytics and Humor to provide tools for people considering buying their first EV. 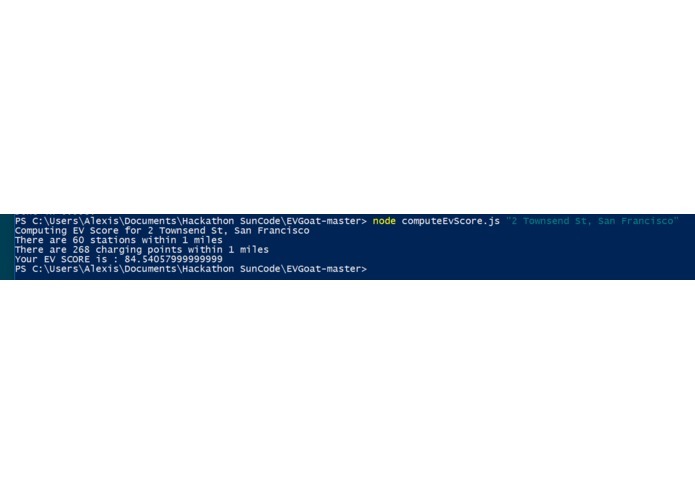 We tried to build several aspects of the solution in parallel, which required a lot of focus on making sure the differents parts of the system were providing a consistent user experience. The biggest challenge we faced was respecting the time frame and finding a balance between our expectations and the realm of the possible. Not having a burn out. Staying zen at all times. Having fun during the whole challenge. Goats can be funny. Also when working in a multi-disciplinary team, making sure everyone is in charge of a task that matches their skillset provides tremendous efficiency increase. We would love to discuss with potential investors and mentors to see how we can bring EVGoat to the public.